About 100 people got the first glimpse of the Greene County Freedom Rock Thursday afternoon. A short ceremony took place on the fairgrounds in Jefferson at the location of the rock in front of the grain elevator. American Legion Post 11 Commander Jim Andrew served as the emcee. 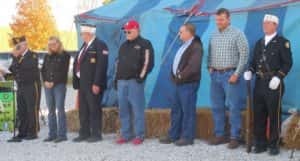 He introduced the Freedom Rock committee members as well as the history of getting the rock, fundraising for the project and future plans of completing the project with landscaping and flags and flag poles. 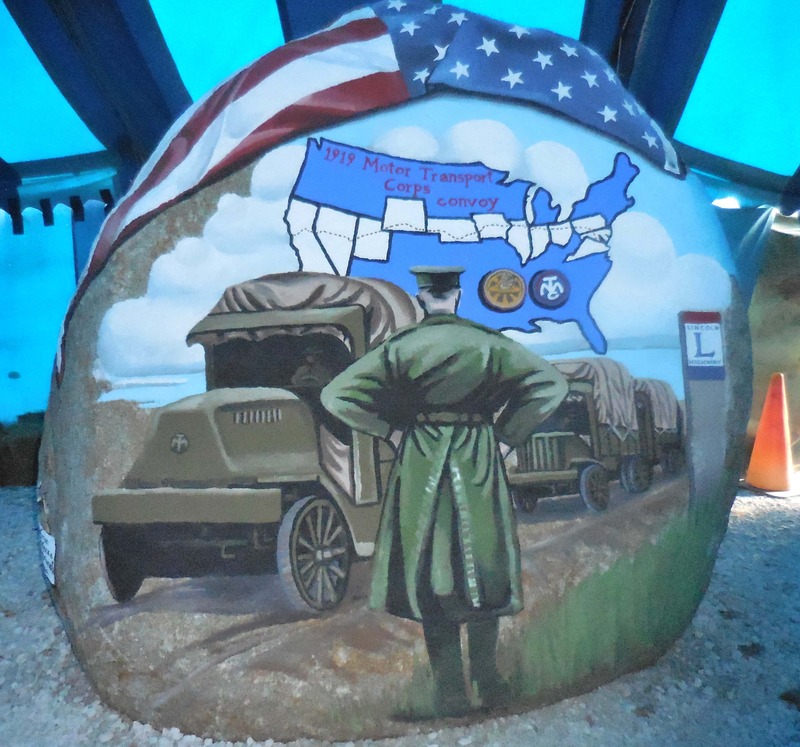 The rock features several different themes, local to Greene County. The 1919 US Army Motor Transport Corps convoy that came through the county on Lincoln Highway with Lieutenant Colonel Dwight D. Eisenhower. The design of the Medal of Honor in recognition of Captain Darrell Lindsey during World War II. Members of the HQ Company, 168th Infantry Regiment, 34th Infantry Division who were captured during World War II. Paton native Astronaut Loren Shriver who was involved in three space shuttle missions. Finally, the American flag on top of the rock, which artist Bubba Sorensen says is his trademark that he paints on each of the 55 rocks he’s done in the state. Attendees then took part in a free-will donation soup supper to help the committee raise more funds toward the project. For additional photos, check out our Facebook page.